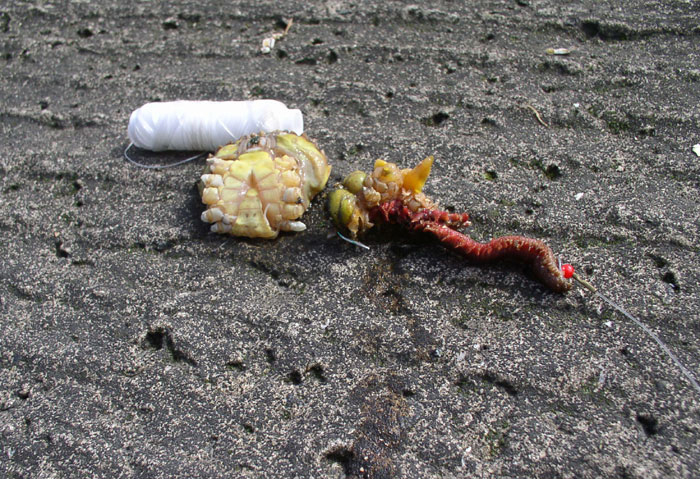 Crabs are around the whole year, and are generally classed as a pest by most anglers. As winter turns to spring and the water temperatures start to increase, the shore crabs will start to peel. 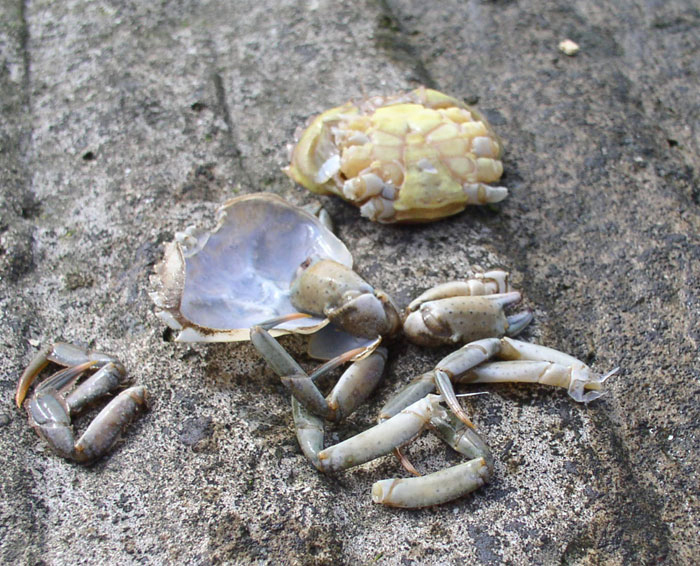 Once the crabs start to peel then they are probably the most favoured bait by anglers. Many crabs peel 3 times per year. 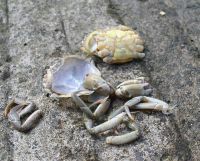 Peeling is when a crab sheds it’s current shell to allow it to grow. 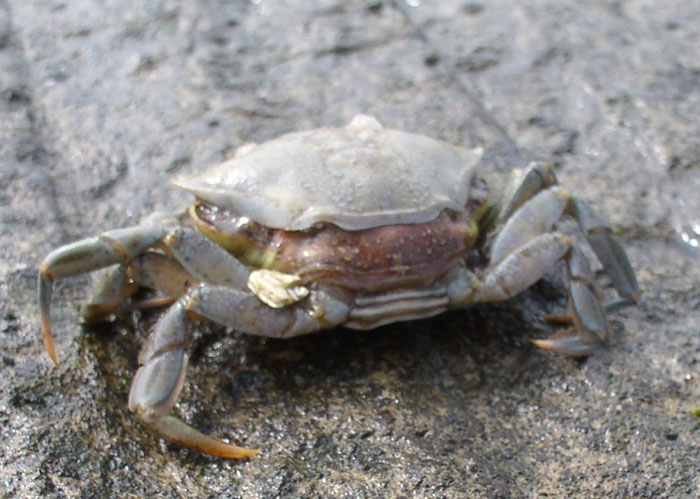 Crabs do this by taking on large amounts of water, which in turn swells the inner body, forcing the shell to crack, revealing a new soft one underneath.The first peel is usually in April or early May.Peeler crabs are usually collected on the foreshore when the tide is out. They can be found under rocks, around groynes, walls and pier stanchions. 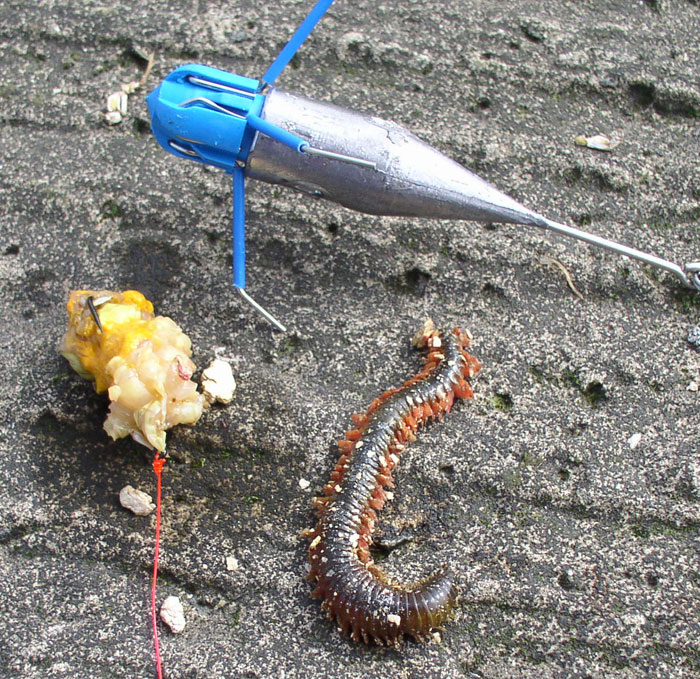 Some anglers will set traps of various types to attract peeler crabs. If you do go collecting peeler crabs, please ensure that you put rocks back in the position you found them, as this will help small creatures attached to them to survive. There are various ways of telling if a crab is a peeler. The one above is losing it’s shell, and is called a popper. If the shell hasn’t yet popped, then you can remove the last segment of the 2nd to last leg. If a fully formed leg segment is left behind, then it’s a peeler crab. If all you get is a white strand of sinew then the crab is not peeling. Now that you have your peeler crab you need to keep them in tip top condition ready for use as bait. Peeler crabs should be kept refrigerated and checked daily. Keep the peeler crabs in a container like a cat litter tray or ice cream container, keep them cool at all times and cover them in seaweed soaked in fresh sea water, this should be changed 3 times a week. Presentation of the peeler crab is as important as collecting and keeping them, they can be used as a bait on their own or as a tip off with rag or lug, larger peeler crabs can be cut in half and used on smaller hooks. To prepare a peeler crab, you first remove the legs and hard shell parts. 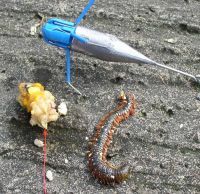 Bait elastic is required to hold the peeler crab on the hook while casting. Use enough to hold the peeler crab, there is no need to embalm it. 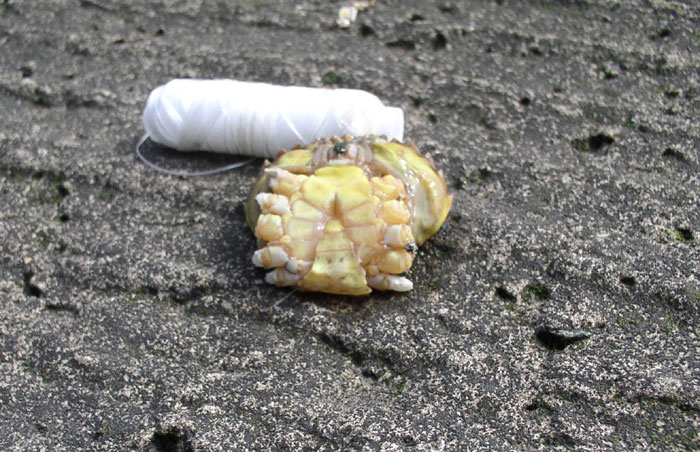 Peeler crab used as a bait on it’s own.